Reflecting the trending topics of digital transformation in manufacturing, human-robot collaboration and service robotics, Automatica makes an important contribution to designing ‘Work 4.0’ at companies where people bear more responsibility than ever before. These topics will be exhibited tangibly and concretely at the June trade fair. Digitalisation has long been recognised as a key driver of competitiveness and sustainable success. 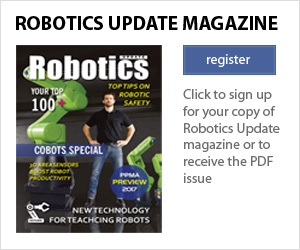 With its own topic area, IT2Industry, Automatica covers everything from robotics and automation to information technology, and all the way to cloud computing and big data. These highly relevant topics will be discussed in an ICT exhibition area as well as the IT2Industry Forum. At the same time, the OPC Day Europe 2018 will again take place within the context of Automatica. 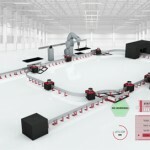 The rapid development steps of digital networking into factories is even surprising industry insiders. The reason for it? Although “becoming smart” costs money, the investments are worth it. This has also been shown in a recent study entitled “The Digitalization Productivity Bonus: Sector Insights” by Siemens Financial Services (SFS). 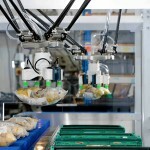 According to it, manufacturers can achieve an annual increase in productivity through reduction of manufacturing costs by up to 9.8% thanks to automation and digitalization of their production systems. The enormous productivity gains help companies to free liquidity, with which they can finance investments in new technologies. 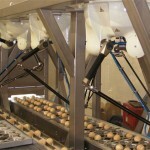 Numerous practical examples have already proven how efficient and highly productive smart production can be. Kuka, for example, connects the analogue and digital worlds in the manufacture of robot components in a fully automated, networked cell. 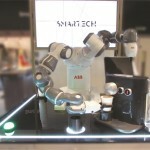 The cell shows how a robot produces robot components in collaboration with two machining centres. 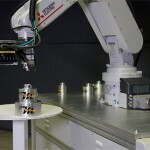 A six-axis robot takes over handling of the cast components. With its work area extended over a linear unit, it can operate both machining centers and additionally perform deburring work. This is automation in the analogue world. 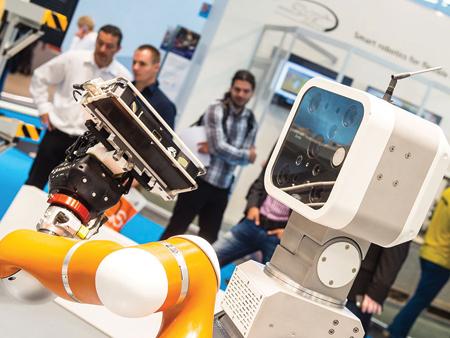 Exhibitors at Automatica will demonstrate that the future of industrial manufacturing will be completely networked as well as show which benefits result from it and how easy it is to implement the open networks required for it. It is already clear today: Many companies have the exhibition motto of “Industry 4.0”, “Smart Factory” or “Digital Networking”, and the innovations that will be presented in Munich have more a revolutionary character than an evolutionary one. New for 2018, Automatica will host the Automobile Production Congress for the first time. With the subtitle “On the way to autonomous production”, the Congress will focus on the impact of digitalisation and artificial intelligence on vehicle production. 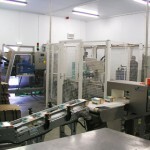 Automatica also provides a full knowledge forum providing valuable know-how transfer. From vision to concrete implementation in actual practice, talks and discussions deal with current industry trends and future scenarios. Meanwhile, Hall B4 will be the place for innovation and the future at Automatica. 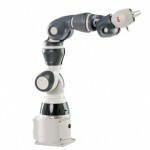 In addition to IT2Industry, the latest developments in service robotics will be shown live and tangibly. 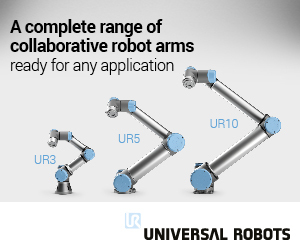 One European project will be presented: European Robotics Challenge (EUROC). In addition, the Makeathon and the exhibition space for start-ups will provide a central meeting point for promoting the next generation and young entrepreneurs in the fields of robotics and automation.